Darlene B. Hughes, 63, of Rensselaer, passed away on Wednesday, September 5, 2018 with her loving family by her side. Darlene was the daughter of the late Curtis Secor and Carrie (Mason) Secor. Darlene was the devoted wife to the late Richard L. Hughes, Sr., he predeceased her on October 23, 2017. Loving mother of, Dorothy Hughes-Warren (Todd), Richard L. Hughes, Jr. (Caitlin), Brian Hughes (Andrea) and Sandra Jeanne Hughes. Dearest sister of the late Curtis (Donna) Secor, Billy Secor, David Secor, Ronnie Secor, the late Frank (Lynn) Secor and the late Charlie (Denise) Secor. Debbie (Todd) Lounsbury, Marilyn (Tim) Zable, Brenda (Ed) Monroe, Rosetta (Kevin) Chairs and Lois (Ernest Voss) Secor Cherished grandmother of several grandchildren and great-grandchildren. Several nieces and nephews also survive. 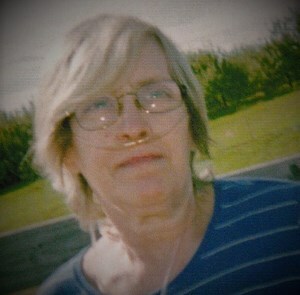 Darlene was a caregiver and friend to all. She was an avid card player, who enjoyed a good game of poker. She will be sorely missed. Relatives and friends may call 10 a.m. - 12 p.m. Tuesday (September 11th) at New Comer Cremations & Funerals, 343 New Karner Road, Colonie, where a funeral service will commence at 12 p.m. in the funeral home. Interment will follow the service in Mt. Pleasant Cemetery, New Salem. Add your memories to the guest book of Darlene Hughes. Time changes nothing. Death changes everything. I miss the sound of your voice, the wisdom of your advice, the stories of your life, and just being in your presence. I miss you so much.